Is it Monday already?! I wish the weekend could last forever! ….Or ya know, just hit the lotto and make everyday a weekend for the rest of my life HA! I hope you all had a runderful weekend! Last week I had the esteemed pleasure of attending #FitFest at Title Nine. 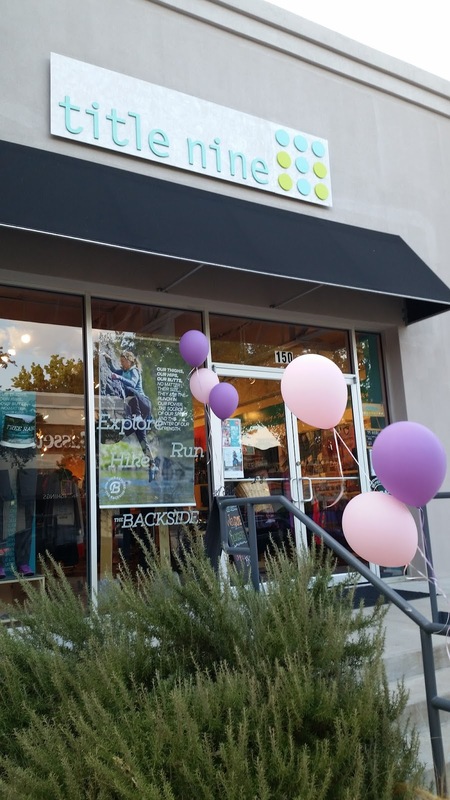 If you’re not familiar with Title Nine they are a retailer specializing in sportswear & active apparel for women, plus swimsuits, shoes & athletic gear. I just love events like these because not only do I get to meet awesome friends, but I get to dig around and find the REALLY good products to share with all of you. 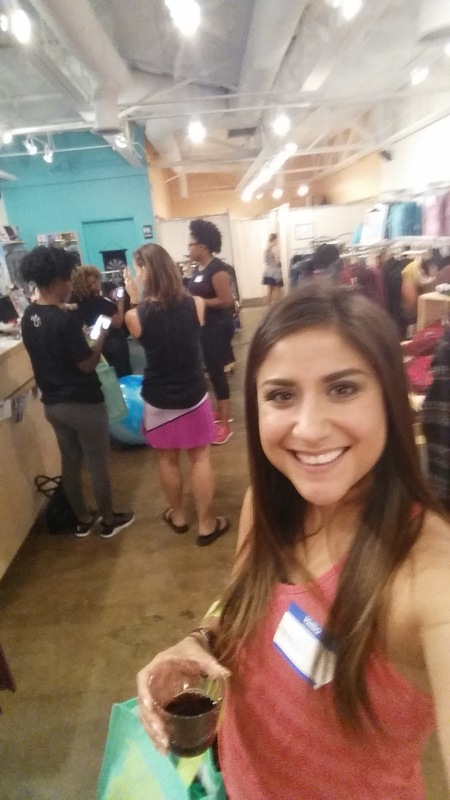 Title Nine has been hosting #FitFest at many of there local stores in an effort to help women find the perfect bra fit. Now, I’ve had my tatas fitted at Victoria’s Secret, but honestly after attending #FitFest, Victoria can keep her secret because these ladies are my kinda gals! 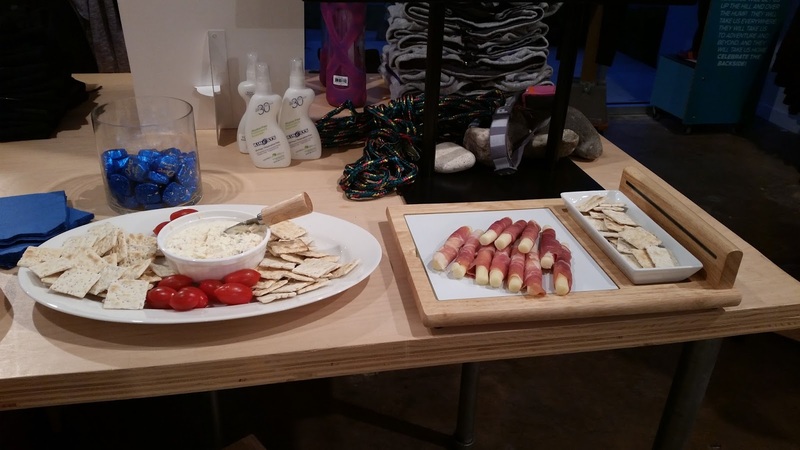 When we arrived there was cheese and wine waiting for us and a store FULL of the cutest sportswear I’d ever seen. I met the store manager Crissie who, by the way, was a fellow triathlete! She was just the sweetest and spunkiest person I think I’ve ever met. We talked a lot about racing and she even gave me tips on my upcoming HIM. She had volunteered at the past races and knew the course well. I’m tellin’ ya, these ladies who work at Title Nine aren’t just retail sales women, they know their stuff and they’re know their sports. 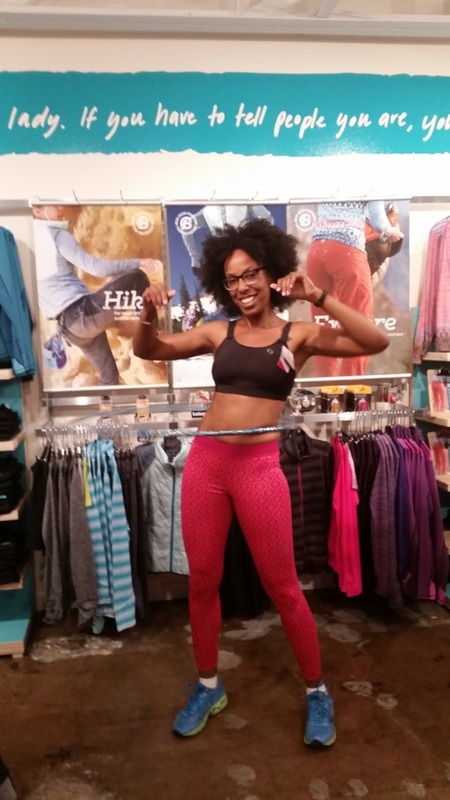 After we got the race chat out of the way Crissie explained that the lack of a good sports bra is often the biggest deterrent to regular exercise for a lot of women. Did you know the average American woman wears a 36C bra, however the vast majority of sports bras are built for A and B-cup women. When it comes to sports bras, most women don’t wear the right size because they can’t find the right size. This is where the women of Title Nine come in. We’ve tested thousands of bras and found just the right ones to support our workouts and our curves, whether you’re a 32AA or a 40EEE. 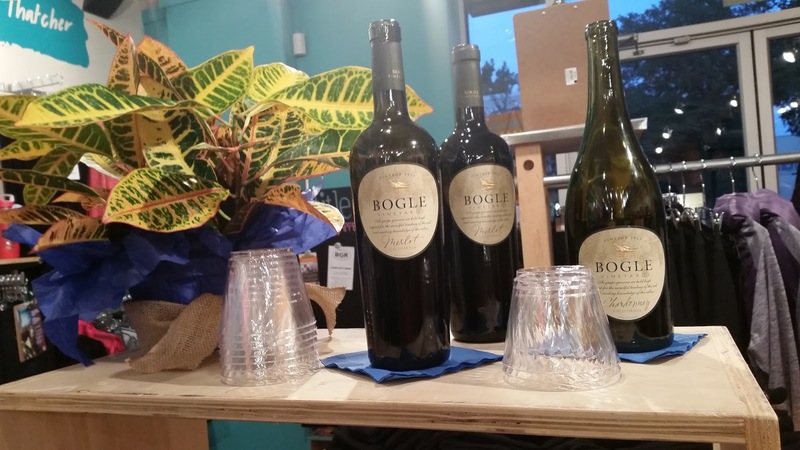 We use our expert bra fit specialists –bravangelists- to get women in the right bras. Now we want you to put us to the test at our Title Nine FitFest. So, after learning more about their product we were able to try them on and test them out. I was assigned my very own “Bravangelist” who fit me for the correct bra size and then she talked to me about what types of activities I liked to do. 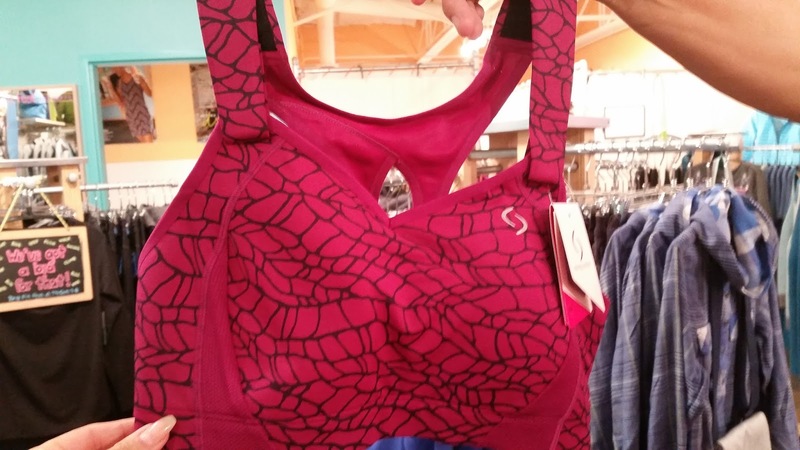 In the past I have always just purchased the ‘ol Walmart yoga sports bras or discounts sports bras at Marshall’s or Ross here and there where I could find them. I’ve never spent more than $20 on any of my sports bras. I figured with my petite shape all I needed to do wash mash the ladies down and they would be fine!…but they’re not. After all the riding and running I’m doing there has been a lot of chaffing, bouncing, and even shoulder pain. Let me tell you ladies, you don’t need to have melons to get aches and pains. Just spend 2+ hours in a bad sports bra jumping around. That’ll do ya! The first thing I noticed was that these bra’s had hook closures on them. None of my current sports bras have that and they are constantly sliding up! I wear a heart rate monitor around my chest 99.9% of the time when I’m training and it’s a constant fight between my bra and the monitor. I’m always tugging at one or the other. The second thing I noticed was that the seven wonder bra actually had velcro front straps for easy adjusting! How neat is that! Once we had our fitted bras we tried them on and put them to the test. Now ladies, PLEASE excuse the awkward faces in the below photos. I’m not exactly used to having my picture taken in a sports bra. I know there are ladies plastered all over the internet and Instagram who do this on the regular but well, not me. I really did want you guys to see that we honestly tested the bad boys out. We jumped in a bounce-a-thon, we hula-hoped, we twisted, turned, bounced on bouncy balls and well, the ladies stayed put! After giving all my selected bra’s an honest test I went with the Seven Wonder’s bra because of the high front and the velcro straps. I felt very secure and surprisingly I couldn’t feel the velcro at all. 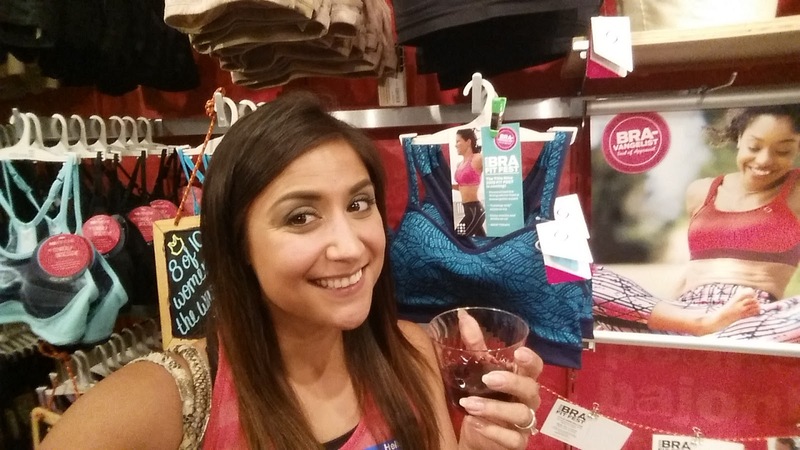 This past weekend I put the bra to the REAL test, triathlon training. Saturday I went for a 32 mile bike ride and wore this bra under my tri top. I loved the wide straps because I was hunched over in aero position for about two hours and I didn’t have those dainty yoga bra straps cutting into my shoulders. Sunday I went for an eight mile run and nothing bounced or chaffed either. I did also notice that the thicker material of the bra seemed to soak up ANY sweat that was dripping down my back. (gross I know) but that also means that I didn’t have sweat laying on my skin. Why is that important? Well in short, sweat (or any moisture) on the skin + rubbing of fabric = chaffing and blisters. Please note: triathletes SWIM before they bike or run so we are wet for almost and entire race. Overall I’m incredibly impressed with the bra I tested out. I’m confident that if I wore it on race day under my tri suit I would be fully supported and that even with getting wet from the swim, I still wouldn’t have to worry about chaffing or blistering. I’m so happy that I had the opportunity to attend #FitFest. 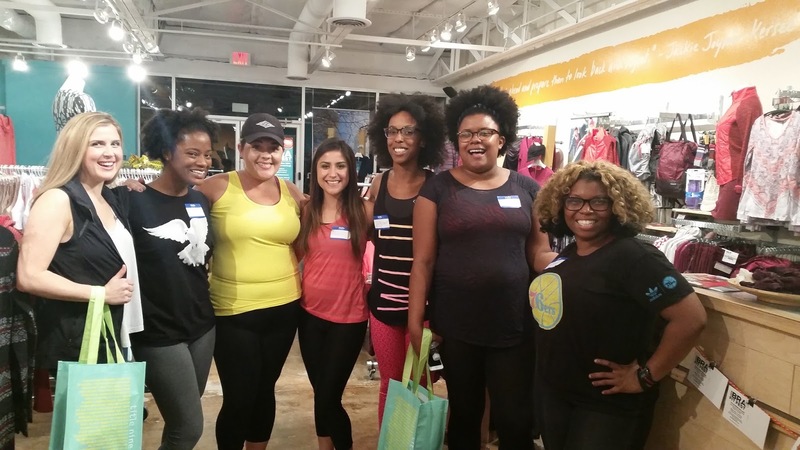 I was able to meet some new local DFW blogger friends and find some awesome sports wear! What more can a girl ask for? Now, on to you guys! Title Nine has agreed to giveaway a bra to one of my lucky readers! The winner will receive a personalized bra fit from a “Bravangelist” expert at a Title Nine store during Fit Fest October 7-8th. If you are not in the DFW area don’t fret! You can still do your fitting by phone. Winners within driving distance of a Title Nine store will be asked to redeem their prize at the closest retail location in order to get the best fitting. The contest is open to anyone in the US. A winner will be announced Wednesday October 10/07. To enter now just use the rafflecopter below! GO! GO! GO! Happy running ladies! I get their catalogs in the mail, but for some reason never connected they had a local storefront! Gah! Sorry I missed this comment 🙁 yes, the store is awesome. They more than just Title Nine apparel too. Such a cute store and they bras really are great.